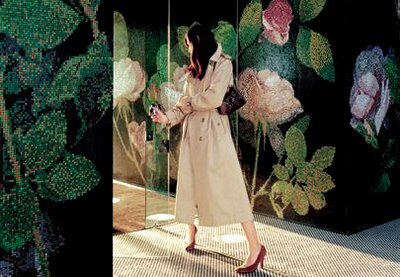 Founded in 1956, Bisazza has an amazing selection and history of glass mosaic walls and floors. Bisazza has pursued two objectives, conservation and rediscovery of working techniques from the Venetian masaic tradition and constant technological progress. Since 2000 they have shifted their focus to the luxury brand segment. Finally Bisazza is available in South Africa through Kenzan Tiles and is set to tile our walls with decorative mosaics. These tiles look amazing and if you want to know more about the ranges and styles, the website for Bisazza is elegantly, stylish and provocative and the photography is clean and crisp. The Fresh Ground range of paints has some really great packaging as far as paint tins are concerned. The ecosensitive range offers that add tactile paint finishes, such as rust, antique effect and gravel, to your walls inside and out. 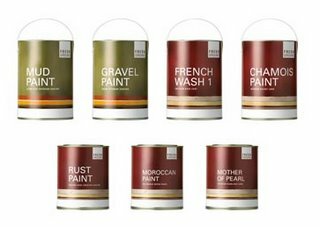 These paint are exclusive to Builders Warehouse and if you need a little change in interior scenery, they would be just right for you! Check out these crazy silkscreened posters from Studio (18) Hundred. 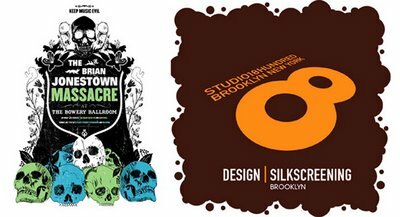 They are based in Brooklyn, New York and have done work for mostly bands and musicians. The quality of the prints is amazing, and there still seems to be quite a market for silkscreened limited edition posters. Art director and design is done by Chris Rubino, Roger Bova and Sean Donnelly. Awesome work! Kinda reminded me of the Hammerpress print a little, but still super wow! Paere Dansk, literally meaning typically Danish, offers a collection of furniture, lighting and art which embodies the functionality and aesthetics of Danish Design in the period 1930-1970. It took me a long time to browse this site, as I was so excited to go through every piece of furniture and item available from Paere Dansk. They also have a little art and lighting thrown in to boot. The chairs are really just right for my taste at the moment, and I wouldn't hesitate to decorate my place with these pieces. Go check it out! 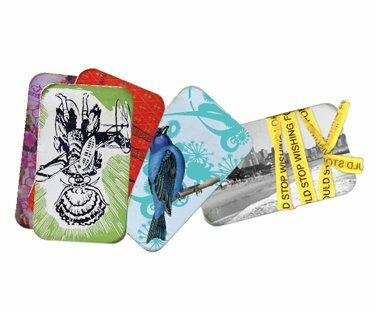 Specialising in design and printing of premium textiles, Signature Prints is an Australian company based in Sydney. Their market is the interior and architectural industry, directing their focus internationally. Signature Prints has some really impressive wallpapers and fabrics. I cpuld see a lot of the fabrics used in screen dividers or runners for tables. They have a lot of selection and are great to have a browse through. The company is best-known for its Florence Broadhurst designs, which it has the exclusive worldwide rights to. 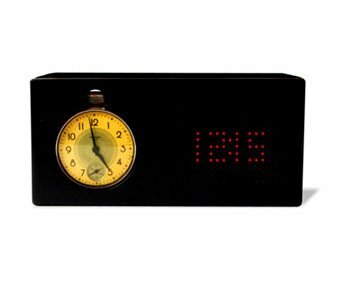 Found via Core77, I just had to post this great bedside pocket/digital clock. The Pocket Watch Alarm Clock from Studioroom 906 has given value to two outdated and undervalued accessories. The Pocket watch and the Digital watch. By lifting this clock off a surface the digital display is activated until it is set down again. The pocket watch is now acting as the alarm clock. 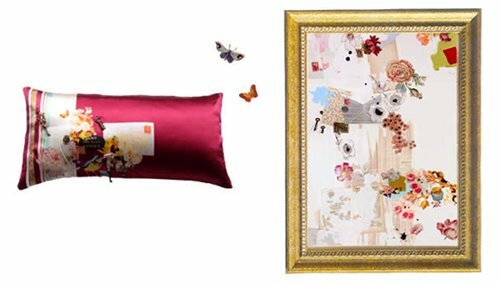 These creations and more are both available from Studioroom 906 founders, Nicholas Cheng and Sylvia Lai, both hailing from Hong Kong. I really love it! New York based Denim Therapy is a denim company with a twist. The company is not selling you new pairs of jeans with crazy new styles or pockets everywhere wit hideous washes. All they provide is a quality service to repair your favourite pair of denims that you have literally worn to death. Repairing tattered and falling apart jeans that you cannot get yourself to throw away. We all have that pair and now we can revive them to their old glory. What an awesome concept! Founded by Maria Marta Mayol and Marina Hearne, Humus started in 2002 by making contact with loom weavers at a rural school they sponsored. 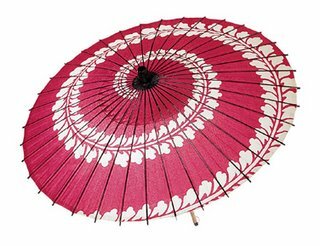 They were inspired by the technique and using it to create new products and designs, thus creating a support line for their communities work. The Humus mission is to create innovatively-designed products using handcrafted techniques and natural materials, spreading the art of the loom. 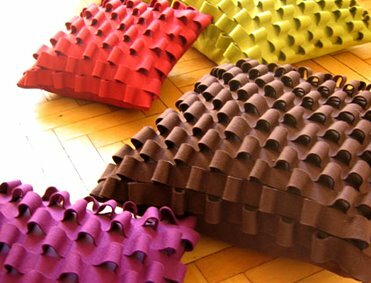 Their products range from rugs and mats to pillows and furniture. I particularly love this pillow, simple and clean design with a great looking feel and texture. 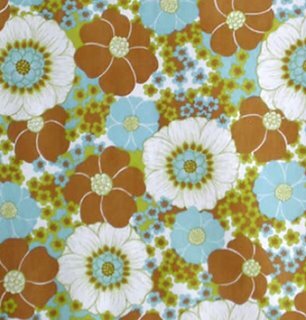 Eripalmo S.A. has a huge database of wallpaper designs from the 60s and 70s. They have been based in Ecuador for 100 years, and market pretty cool prints and patterns. 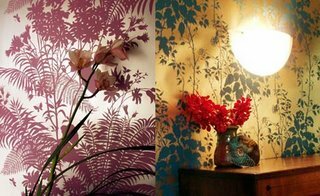 The wallpaper examples are not of the best quality photography but a lot of the prints are really great for inspiration or good examples of that era. Browse it here for a while. Maybe this is a subtle hint from my girlfriend or maybe this is really good South African design...let's see. Thanks to Lisa King for dropping this cool South African site in my lap. And yes it has been designed nicely, what a relief. 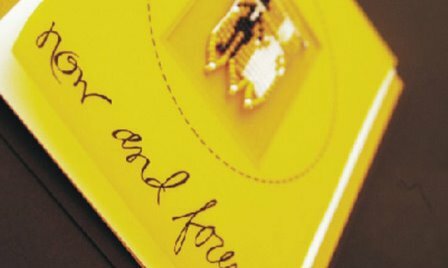 Elsje Designs, a couture design company, specializing in creating and styling exclusive event stationery such as invitations, menus, weddings, 21st birthdays, anniversaries and personalised stationery of all kind. They have a very fresh perspective on designing stationery and their wedding invitations are top of the heap! As well as all this, they do logos, and the rest of the everyday bread and butter. Busy ladies with an eye for design! Penguin books have been around for ages and can be found all over the world in all types of books shops. via Cool Hunting I found designer Joe Kral. 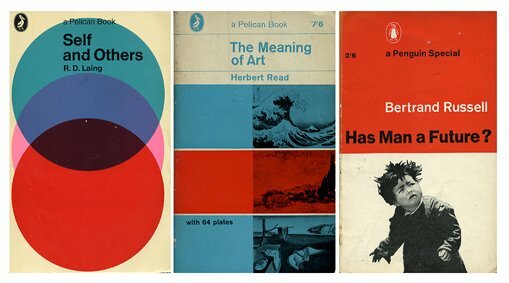 Now Joe Krals connection to Penguin is that he collects them (mainly from the 60s and 70s) and posts them on his online collection, showing off the bold retro graphics and great illustrations. Buying books solely for their covers...hmm that is quite a cool hobby. Check out all the great covers he has collected here! Owner and image maker behind Fotografik, Clinton Friedman, is a photographer by day and plant saviour by night. 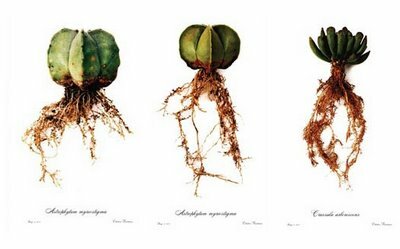 His botanical photography not only rescues this art form from obscurity but he also raises awareness about illegally harvested medicinal plants and saves them from the "muti" markets to rehabilitate them and give them a new life. 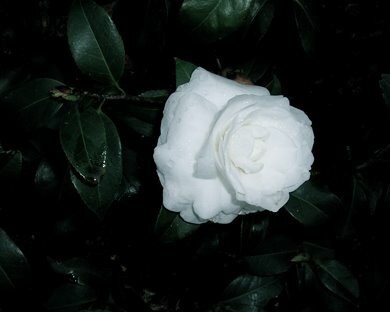 His archival approach is evident in his work, by photographing the plant in a pressed manner from leaf-tip to root. I love his photography, featuring in the Design Indaba magazine (3rd quarter 2006). Im really enjoying photography on my amateur level at the moment and together with my personal photo posting, I will be posting polaroids I have taken recently. 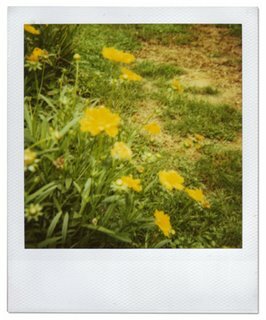 This polaroid was taken in October on a Saturday morning. Found via shelterrific, I thought these cards were a great find! 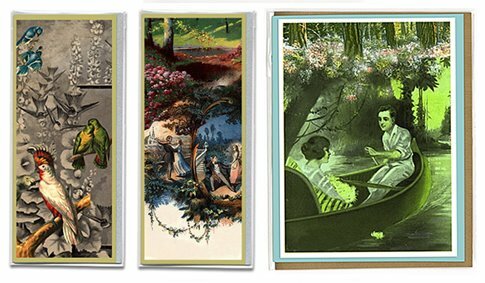 I love the collaged romantic feel the cards have. Probably good for any occasion these cards are very unique. Sweet Thunder, the design studio behind the cards, is an independant design studio located in Chicago. They support limited edition production with an emphasis on using recycled, reconstructed, rare and antique materials. Also available on their site, are earrings, necklaces, bracelets and even custom made invites designed just for you. Mastiha is a resinous sap produced from the trunk and branches of the lentisk that is found in Mediterranean countires. This sap is extracted from the tree and is used in many products as antioxidants, seasoning, healing agents and in beauty products. 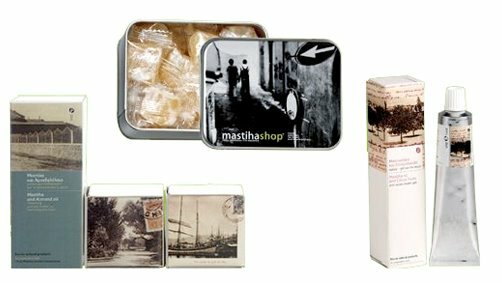 Mastihashop, founded in 2002, provides a range of really nicely packaged goods, bringing Mastiha to the rest of the world. Definately worth browsing the cool site to just see the packaging. Really nicely branded throughout. The 2006 Art Vespa design competition for South African designers is coming to an end soon. The competition ends on the 31st November and is looking for any designers to implement their own art on the Vespa LX. The entries will be judged by international designer for Piaggio in Italy, Francesco Maffe and then displayed at the Design Indaba Expo from the 23-25 February 2007. So get your entries in ASAP! All you need to do is work for a recognised advertising or design agency. 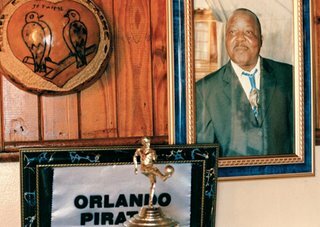 A 264 page hard-cover book containing 200 full-colour photographs and over 70 awesome illustrations has been compiled to paint the portrait of South African at home. African Salad is a photographic trek into local cultures, life and the everyday living that South Africans are a part of. 120 families from across South Africa let photographer Stan Engelbrecht into their homes to document just what it means to be a South African. 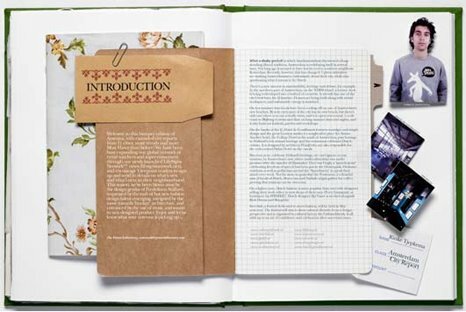 It is an amazing book that includes traditional handwritten recipes from across Mzansi. This book is a definate buy and you can browse a few of the pages on the website. Start here. 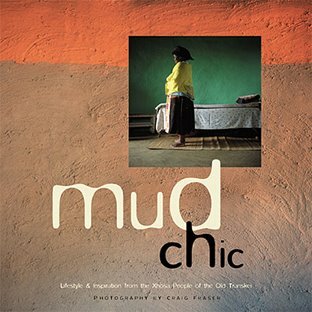 Mud Chic is a collection of Xhosa homes and interiors captured by Craig Fraser that portray the Xhosa way of life through the homes that they live in. These homes reveal that poverty does little to decrease the human impulse to adorn and beautify. The personality of each home owner is expressed in a rich, elaborate vocabulary of symbols, geometric patterns, colour and decorative detail that is uniquely individual to each. This book is similar to the first collection, Shack Chic, about the decorative interiors of township dwellings and is a definate buy for any coffee table anywhere. This photo was taken in Byrne, just outside Richmond. 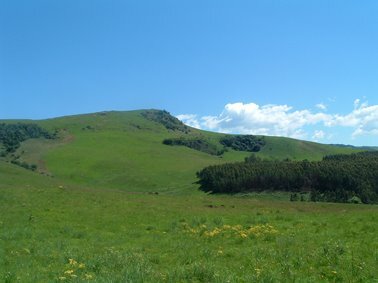 Georgie Crowe has taken design away from the city and into the Midlands in KwaZulu-Natal. 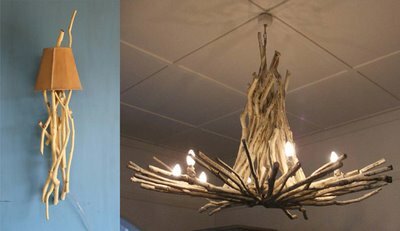 Her company High Thorn, inspired by the rugged yet beautiful rolling tree covered hills of KZN, is putting all the alien timber to good use by transforming and creating it into wonderful chandeliers and wall sconces that mix shabbiness with Afro-chic. High Thorn also deals with collectible Nguni cow hides and creates some amazing decorative african pots. Started to promote local design on a national and international level, Design Indaba is held once a year in Cape Town, South Africa and is a must for all local designers in all industries to get down to. The aim of the Indaba is to add value to those who, practice design, commision design and rely on design to build a brand. The Indaba has had speakers like Li Edelkoort, Koto Bolofo, Ji Lee and Ze Frank to name a few. Held in the Cape Town International Convention Centre this is a Mecca foe all designers to get to once in their lives. The 2006 Young Design Entrepreneur of the Year Award was won by Heath Nash, a 28 year old Product Designer from Cape Town (Featured is Heaths creation) . I regret to inform my loyal devoted members of the public that read my blog weekly/daily (thanks again!) 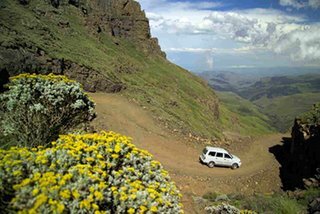 that I am going on a well deserved retreat to the Drakensberg for the weekend. Strapped with my cameras and boardshorts I mean to squeeze the essence out of everyday, weather permitting...Breathe easy as I will be back in full blogging swing on Monday with posts that will hopefully knock your mouse right out of your hand! But alas, I will not leave you uninspired or bored, I have compiled a few sites that might keep your eyes and mind entertained for a while and your index finger clicking away furiously. Buy: an Im Banksy t-shirt and start the revolution. Flip: a page or two through Dan Eldons Journals. 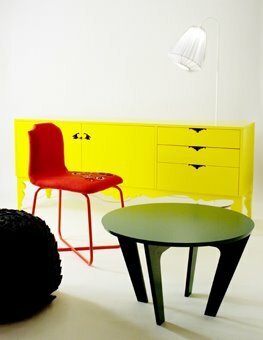 Mix: some inspirational colour palettes for your room. Listen: to the sounds at Tycho music and fall deeply asleep. Write: an email to an old friend and see how they are doing. Help: someone or those who cannot help themselves. See you on Monday! Bye! 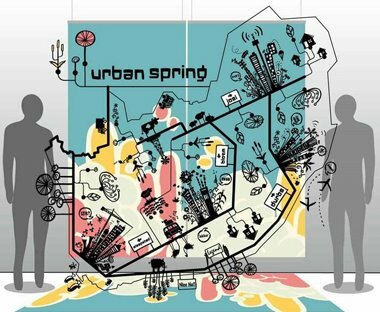 The Space, established in 1999, is a collection of stores located in the major cities of Southern Africa. From the Mother City (Cape Town) to Durbz (Durban) and Jozi (Johannesburg). The Space houses some of the most creative fashion designers in South Africa and a sprinkling of weird and wonderful homeware. Each store is uniquely designed to suit the location and city. Some of the designers housed in The Space include Amanda Laird Cherry and Colleen Eitzen. Kidrobot just launched the Kidrobot/Gorillaz site in conjunction with the launch of their next series of gorillaz figures. 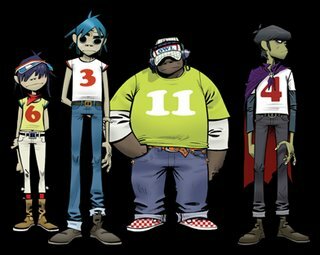 They are not as collectable as the first series but still have that Gorillaz charm and appeal we all love and cherish. They are very cool and are sure to sell out quickly off the Kidrobot site! Gotta catch 'em all! Each piece from Catherine Hammerton is printed, stitched and embellished by hand. She offers a bespoke wallpaper service, that is tailored to suit each clients' specific needs amd aesthetic, ensuring each client receives an individual piece. Soon she is going to offer the papers by the roll and I'm sure they will sell out fast. 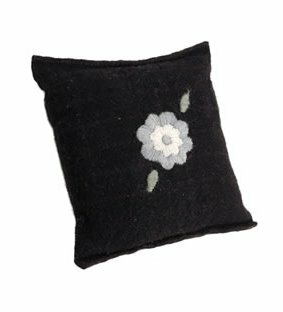 Be sure to check out the exquisite cushions available on her site as well. 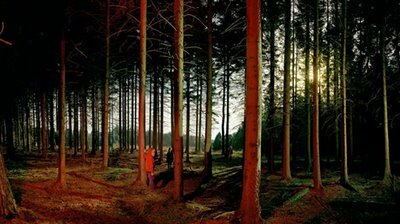 Ellen Kooi is a Dutch born photographer whos work consists of beautiful panoramic lanscape shots. Each shot is carefully staged with Ellen working in the manner of a film director, doing sketches and planning ahead to include considered lighting and positioning her subjects. But each shot does look like the snapshot quality of the photo has been kept. 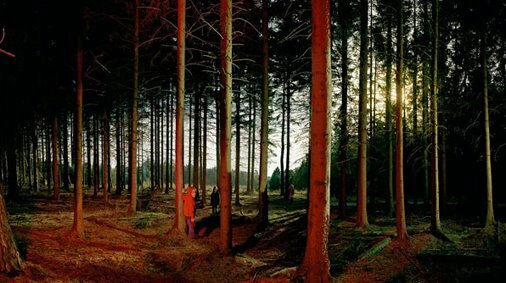 Her work is really great, but personally I prefer the spontaneity in a photo to reflect an exact moment or occasion. 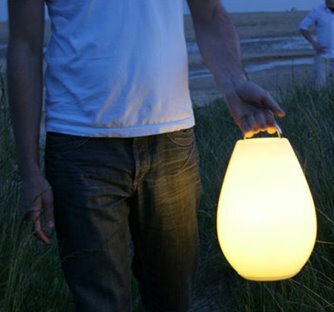 The cut pendant light shade from Polka products was designed a while back in 2001. The user who orders the shade receives a pair of scissors to customise the product as they wish. The changing of the product and the interaction by the user makes each shade a unique creation and one of a kind. 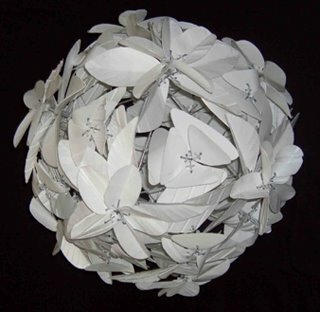 This light received the award for "Best of show - New product award" at Mason Objet 2005. Polka is Monica Singer and Marie Rahm and is based in Vienna. Ok, this has to be the most ridiculous but practical idea for a vending machine. Seriously,...are we living in the 50s again with all these weird, wacky and innovative (so tired of hearing this word in retail, should be replaced by simplicity) ideas flood the market for about 1 week? This is a vending machine for ladies(or men) caught in the bad weather and need a quick straighten...It made me laugh for a while, please, especially ladies, I want to hear some comments about this product. Yay or Nay? Big NO from me! This photo was taken in Hillcrest, at the Heritage Market. These pillows make you just want to run your hands over them again and again. Ok, they might not be great to rest your head against for your post afternoon tea nap, but they really look great. They are woven woollen cloth, with raised felt loops, and are available in a combination of colours. Anne Kyyro Quinn has some good stock, including throws, bags, blinds(very cool), runners, placemats, floor cushions and wall panels. Definately check out the Gap laine felt blind, it creates soft lighting, essential for any bedroom. While stumbling through the bloggers block this morning, trying to search on a slow connection I came across this really cool site that got me out of my sleepy rainy day syndrome. Artecnica is a great find, I don't know how well known it is in the blogger design world but I thought it was a good find that is worth taking a leisurely browse. Now, how cool are these bottle stoppers. 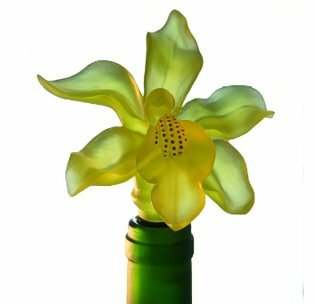 Translucent, colourful resins that add just a little extra for a dinner party with friends. 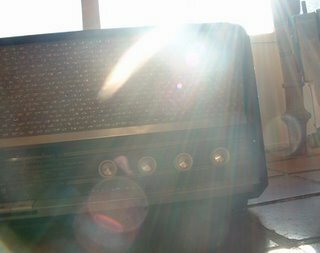 The yellow cabinet in the background (sorry about the pic) was created by adding the 50s vibe to Swedish folklore and a small smidgen of factory production. This cabinet, consisting of MDF and birch as its ingredients, was a prototype displayed at Rotter by recent graduate Hanna Brogard. The yellow is an awesome colour to bring life into your living room, becoming a centre piece for conversation. 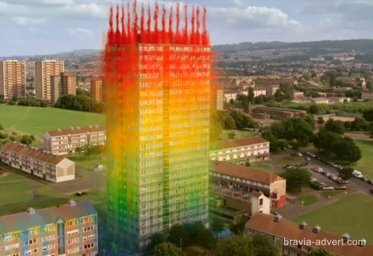 for some reason the cabinet reminds me of custard...yum! Good on Paper is an amazing site displaying the work of Lisa Wong Jackson. She has a massive collection of designs from cards to this awesome calendar for 2007 (featured above). She is super talented and has grown a good following of supporters. For inspiration Lisa looks at the world around her, friends, family, photos, old signs, food and architecure, to name but a few. She has some great designs, please do yourself and your computer screen a favour and visit her site! This site is packed with old and unique wallpaper designs from 1860 to the 1970s. The site itself is not great in my opinion but for inspiration or research purposes it has a wealth of old school interior designs. The wallpapers can be bought by contacting the Secondhand Rose for a price. 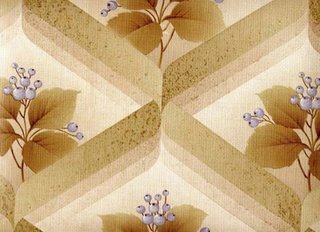 Possible these could be used in smaller quantities to cover screens or room dividers or even framed on the wall as an art piece.Included on the site is some crazy linoleum designs. Worth a browse! Naketanos goal is to make their piece of clothing that you buy, your favourite item in your wardrobe. Using other items of clothing to just add to your favourite item. Their colours are bright, vibrant and may bring some life into your dull winter leftovers. I absolutely love the colour combinations and cut of the garments. Their definately should be a guys version in these styles and you definately will jump out of the crowd in these colour ways. Click on their shop for more styles. A Los Angeles based design studio founde by Nicole Chiala and Kristina de Corpo, Amenitys goal is to create beautiful, yet useful, everyday objects of high quality that reflect the beauty and colours of nature. I really find their prints quite relaxing and calming in a way and especially like the oversized handle on the bag featured above. Really pretty things that can also be used in a masculine bachelors pad, like the duvet cover above. 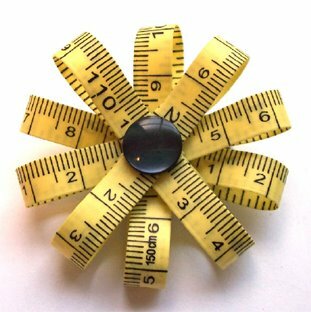 Liana Kabel from Australia creates little plastic jewelry gems and posts them up on her site with explanations on how to and where you can get them. She makes from necklaces to brooches and earrings, all brightly coloured and great to accessories your summer look here in South Africa. If you are keen to look at her work (it really is worth it), you can also check it out through Flickr. 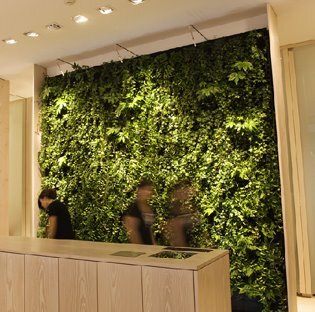 Plantwall from Green Fortune is such an exciting idea for the interior of your home. Possibly could look great in the kitchen or lounge. It gives your interior a cool and calming exterior feature in any size or shape, adding loads of greenery to your house without losing floorspace. I love it! Giles Miller, a product designer from the UK, focuses on provoking an appreciation for the diversity in sustainable design. He narrows his work down into three primary categories of sustainability: Using recycled and recyclable materials, using all-natural materials, and re-using existing objects and products. His lamp featured above was created by using a process called fluting. 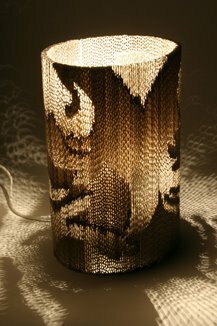 A process where the angle of the corrugated cardboard is alternated to create decorative patterns in the lamps surface. 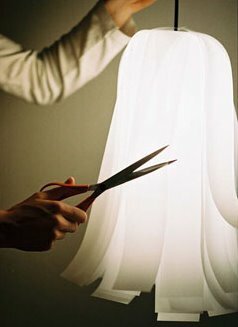 The lamp when turned on casts delicate and interesting shapes across the room and could be the mood maker you were looking for. This photo was taken in Kloof, in October on a very cold dark midweek morning. Paging through the new Viewpoint magazine (number 20 I think), one of my favourite past times, I came across a really cool layout. I'm big into my clean yet multi-layered double page spreads and could not leave this without posting it. Benjamin Allder is 22%morechicken with a site full of recent work and illustrations. Besides working for Viewpoint he has also done work for MTV. You might have realised by reading through my latest posts that I am building a small obsession in 2 areas. One, the amazing blogging world and being in touch with good people all over the globe. And two, photography. At the moment I am analysing every object and scene I come across for that perfect image. While I am on the subject of perfect images, I would like to introduce to you Sebastian Edge an amazing photographer with the a wonderfully simple website. The website takes me back to my days at tech in the dark room, running between basin and dryer. Believe it or not the photo on the right above is done with a pinhole camera. Yeah! Another South African for the design records! She does really great illustrations for a variety of mediums. She is...(drum roll)...Heather Moore! I love her work long time. One of my favourites she did were the SportScene windows map of South Africa. The windows are done in two stages and a few weeks after the intial reveal the staff ad the other stickers of the South African cities. Go Heather! Fantastical! Virtual high five your way.